Our bathrooms should be one of the most peaceful and serene spaces in the house, offering us a quiet and tranquil haven from the rest of the home – and the family! It's where you get ready for work in the morning and where you wind down in a hot bubble bath after a long day at work. Yet the decor and design of many bathrooms often doesn't translate in a tranquil or serene space. 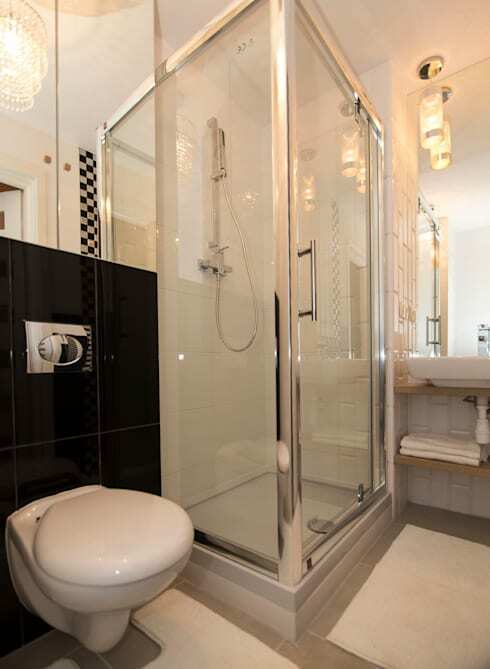 In fact sometimes our overlooked andcluttered bathrooms can end up causing us more stress! Today, we are going to look at how some top professionals from around the world intervened, transforming bland, boring and basic bathrooms into much more interesting spaces. We hope that it will inspire you to make a few changes too. In this bathroom, there is no chance of peace and quiet. In fact, spending time in this space would be thoroughly depressing. The olive green bath tub and sink clash horribly with the brown tiled floors and patterned walls, making us cringe! There is also no adequate storage space so there are items such as towels and cleaning products littered around this room, creating a very chaotic looking space. The towels don't even match the color scheme in this room! RF Architekten have transformed this space into a minimalist look and feel, installing plenty of storage space so that anything that isn't functional or necessary is stored neatly out of sight. They've also gone for simple colours, including white and beige, which is a much more effective in widening and brightening the space. Gone are the complicated patterns and clashing colours. 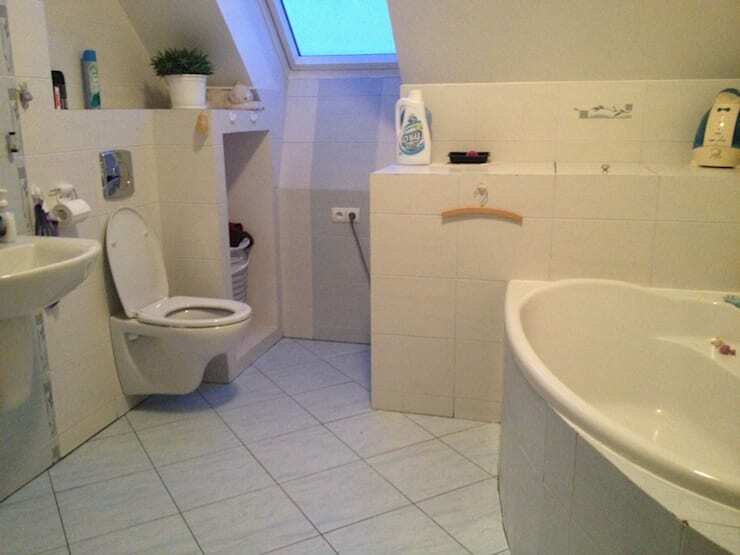 In this bathroom, we can see that it is an average bathroom design that would suffice, but there is nothing too exciting or charming about this bathroom. You certainly wouldn't want to spend anymore time in this room than necessary. We can also see the potential that the bathroom holds, thanks to the natural light that flows into the room via the skylights. 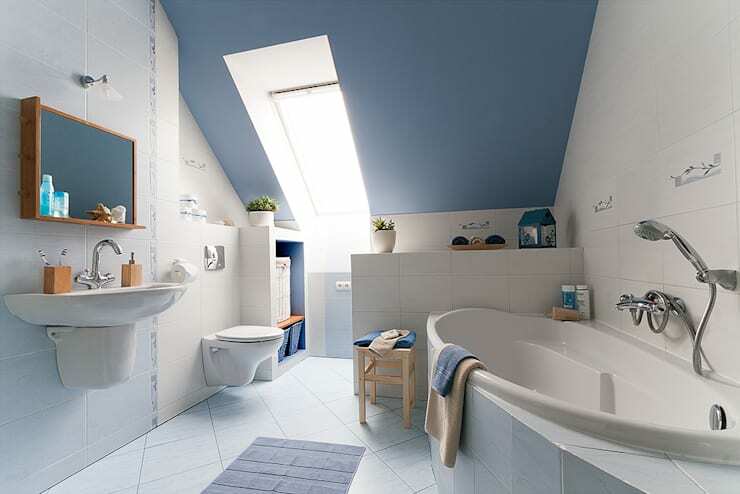 This is very refreshing and works with the white tiles to create a spacious and bright looking room. Home Staging Studio AP weren't satisfied with the previous design however! They've injected some colour and life into the space with a sky blue ceiling and some blue decor accessories. This creates a very charming and appealing space that looks far more warm and inviting than the previous design. Have a look at these other brilliant, beautiful bathroom trends. 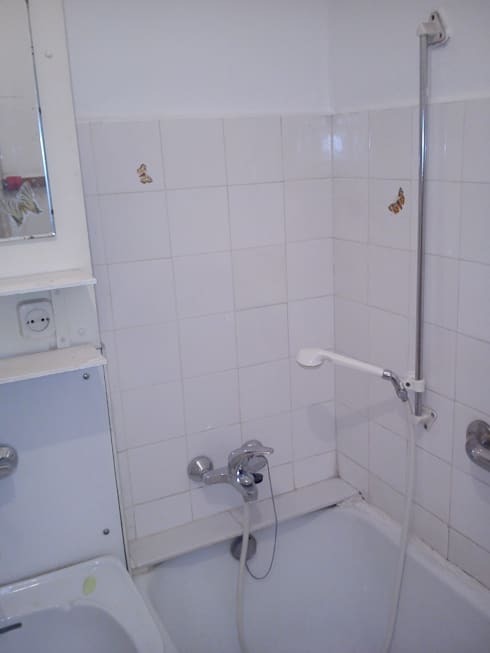 This bathroom is incredibly unattractive with its old-fashioned style, very unattractive brown tiles and its outdated features. This space is also completely cramped and crowded. The designers have not used the space adequately! This bathroom has been completely modernized with soft, neutral colours that open up the space and make the visual impact far more enticing. The old shower has also been gutted, with a new and modern design taking its place while the rest of the bathroom has been organized far more effectively. The designers have played with the space available to them, working with the sloping roof. The soft dimming lights in the ceiling add to the charm! Lighting is key to ambiance. 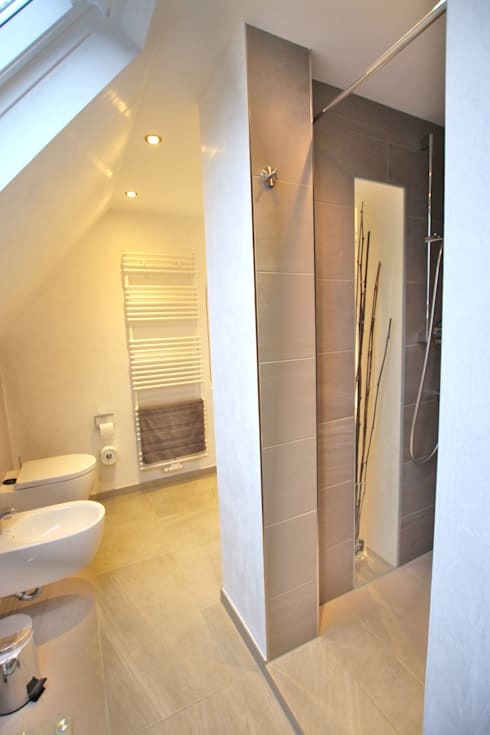 This bathroom was a plain white space that would hardly ease the stress from your shoulders. In fact, you wouldn't want to relax in a hot bath or enjoy meditating in this space – you would want to get out as quickly as possible! There is nothing modern, trendy or decorative included in this space, which makes it very unappealing. Tip: Soak up these fancy bathroom ideas for inspiration on how you can improve your very own bathroom! These designers certainly soaked up some fancy bathroom ideas, introducing some sleek black and silver additions to the bathroom as well as some funky lighting, changing the whole look and feel of the space. Black and white work very effectively together, creating a very dramatic style. Use tiles to introduce these colors, while creating a space that is easy to clean! In this before and after, we can see how the red tiles created a funky space, but it also overwhelmed this small room, making it seem claustrophobic and cramped. On the right, we can see how the introduction of red and white has transformed this space, making it seem that much bigger and more spacious. The colors are also a little bit more soothing. The orange toilet rolls add a funky and stylish splash of colour to the room! Which new bathroom is your favorite?